General Comments: Our School Year is beginning to wind down but will get very busy in May. We will keep a calendar posted of events. Annual Literacy nights will be held at each site on April 15 and April 22 (see the calendar). There is also a “Mustang Roundup” activity in GF on April 18th. This is a new mostly outdoor Spring activity driven fun day and will involve all district kiddos and teachers. The Smarter Balance Assessment is complete except for a few make-ups. Spring Measured Progress Assessments are scheduled for the first week in May. The staff will present the annual report at the May board meeting. I have invited a “K12” Virtual School representative to present at our next meeting. I have not had much conversation with staff on this potential partnering initiative but plan to do so soon. This could in a big way create on opportunity for EsCSD to take a more prominent leadership role in Nevada by being the foremost K12 Virtual sponsor of a certain demographic of students. At the same time, we can offer a more focused option for our own student needs. We have an opportunity to bring more revenue in to our district by making this Virtual School option available to these other districts. It would not require more EsCSD resources. Normally I would have discussed this with staff before this presentation, but the guy is out of Florida and was in the area the next couple of weeks. Rina and I will get will lead that discussion. Rina is one of our Curriculum Coordinators and has been in on the some of the on-line discussion with our Charter parents. If the district were to preserve the option to make available a formal Virtual Platform for next year (at least in the way that I am visioning) I would like the board to approve the superintendent taking some (benchmark required) initial application actions with NDE. Nothing will be permanently approved without staff/superintendent recommendation to the Board and not with their stamp of approval at the May meeting (see the board resolution). I am for whatever our students need. Oftentimes our more gifted students are neglected in favor of our Special Needs. The on-line option can also assist some teachers who struggle with combined grades. It is a resource that can create a more focused approach for individual students. We do some of that already, but I believe that K12 may offer a more suitable approach in some of our classrooms. We can also discuss the possibility of starting up an EsCSD Career Technical Education (CTE) Virtual HS at the board meeting. This would require NDE approval. It has strong potential, especially if we are opening it up to other districts. I am thinking of a two-year trial? Anyway, I think you will find the presentation interesting. 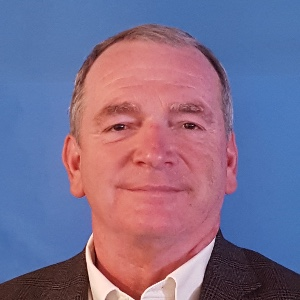 FYI: I invited the parent representative of the GF Home School families to attend a pre-meeting with this person (Chuck Wolfe) to see if K12 could be an alternate option to their current status with the Connections Academy Charter that their children are currently enrolled. We miss their children and would like to see them back. Like me she had some previous experience with K12 online services. She had some excellent observations and questions. She appeared to be positive about it. Our enrollment is still above average and stable. SPE Phase three: Bathroom and heating are up and running in the Library building. The plumbing there had not been in operation for a very long time and was a great deal of work. Nothing else going on there except some work on the fence gates and an addition of different phone lines for Fire system. Goldfield Phase III: The old board room is finished and looks great (see pics). Remember that this building was a junked up all the way to the ceiling. It has been sorted, refloored, repainted and re-shelved. Half is a STEM lab and weight room. The other is a multipurpose area that will be used for the Book Fair on April 22nd. Kudos to Manny and Bill. Doug and Monahan are working to put some “French Drainage” along the current board room West wall. Dyer: Doug and Brian are prepping the Dyer site for a 6” concrete pour. Old concrete has been removed and some additional excavation is going on. They will need to backfill and compact before the concrete pour. Divine Fencing has been absent for eight weeks now and have promised once again to come next week. Safe and Orderly school environment. At our last District PLC meeting we reviewed our site responsibilities as outlined by our February training and Emergency Operations Plan. Some of the operational aspects such as staff and student status, communications, Incident responsibilities etc. need to be worked out in more detail at another future PLC meeting before the district can conduct realistic drills. We are making progress. I forwarded Jeff Kaye’s latest information via email earlier this week. Thanks to his office again. The camera locations have been finalized by each site. We just need to install them now. Ace Fire: Mostly finished except for a short follow up punch list. We held back 10% of the project funds. There were some minor problems with a hot furnace room setting of the alarm in SPE but that has been resolved. District Communications: I think we have all the bugs worked out of our VOIP phone system. Real Estate: We now legally own the lots East of the GF Central Office along with the 5.08 acres. There has been no action on that land by the buyer yet. I need to find out what is happening. Personnel. I am beginning the Summative phase of our staff evaluations now. I have sent you tentative plans for next year’s staff structure. We completed our second review of the Governance policy series. Still no clear guidance on future funding from this legislative session. There is some consternation by NASS about SB318 that requires SROs in Districts without funding them. There continues to be community discussion on the proposed mining in GemField. The BLM meeting at the GF gym last Thursday had 60-70 attendees. I am not hearing much more that what I reported to you last Spring. I do not have additional information on the FLV meeting either. Perhaps one of you can report. In partnership with the Nevada Department of Public Safety, the SafeVoice program provides students a safe place to submit tips concerning their own safety or that of others. A fully trained professional team of experts responds in an appropriate manner 24/7/365. Tips always stay anonymous. The SafeVoice reporting system can be accessed by clicking on this link: http://www.safevoicenv.org/ or calling 833-216-SAFE. We envision a highly effective district-wide safe and orderly Professional Learning Community that results in a premier school of highly engaged and highly motivated students preparing for High School and 21st Century College, Career and Citizenship responsibilities. Our mission is to create a safe and orderly environment with a highly effective PK-8 district-wide Professional Learning Community that appropriately delivers NVCCSS to a rural student population that will result in a 100% graduation of eighth grade students adequately prepared for High School responsibilities. 1. WE BELIEVE that all students can learn at high levels. a. What is it we want our students to learn? b. How will we know our students have learned? c.	What will we do when they do not learn? 3. WE BELIEVE in providing a learning environment that fosters citizenship, a high level of health and physical fitness; and one that supports a moral/ethical approach to the challenges of our current society, to college and to career readiness. 4. WE BELIEVE in providing a learning environment that fosters respect for social and individual diversity. 5. WE BELIEVE that “Family and Community Engagement in Public Schools” is critical to student success.